Santa Claus' Christmas Blog is back! Santa Claus’ Christmas Blog is back! Merry Christmas friend! I am happy you found my blog! My name is Santa Claus. Maybe you have heard of me? I am a big, jolly guy. I live in a magic place full of elves, reindeer, snowmen, and of course, Mrs. Claus! I have been on the Internet for a long time. I have been reading your emails for a long time. I have been watching webcams seeing who is naughty or nice for a long time. Ho! Ho! Ho! I guess I have just been around for a long time! But, the elves told me I should sit down and do something new. So, welcome to “Santa Claus’ Christmas Blog 2009”. I have lots of silly and funny stories to share. After all, I have been around for a long time. I have had lots of adventures! Did you know one year I didn’t use the chimney to give presents? You could even say I know a bit about Christmas and the Christmas Spirit. The Christmas Spirit is a wonderful thing. More than anything, my hope and wish is that my blog will fill you with the magic, love and wonder of the Christmas Spirit. That is one of the best presents I could ever deliver, even if it was only in a Yule blog! Ho! Ho! Ho! What would you like to see me write about in “Santa Claus’ Christmas Blog”? How are you I am very good. When will Snow Ellf get here? I want to see you and rudolph please I want to see you santa!!!!!!! PLEASE I WANT TO SEE YOU!!!!!! Hi Santa, Your the best. Thank you for the presents and joy. You really bring us happiness. Thank you for the blessings you bring us. We have with the presents you give us. Please give me a dsi. And please give my sister some things. And my sister said hi. i would really want to visit you and everyone else. can the elves leave the north pole and visit me so people can believe in you like i do? santa i love you. you are an awsome very fun person. some things i would like is a play sttion 2. also jordan shoes. but only boy ones not girl ones please. and i would just love you very much if you get me 4 plane tickets to the state of florida because my best friend in the whole world lives there and i wanna visit her. i love you. thank you very much santa. have a great christmas. tell everyone at the north pole to have an awsome christmas!!!!!!! im a girl and 11 years old. i live in bremerton washington! tell Mrs.Claus i said hi. Iam 12 months.My sis is typing for me.She is 12.December 15 I will be 1 years old.I am so excited.I will be able to walk.Wish me luck!!!!! BYE!!! Since I cannot send my Son in Afghanistan something for Christmas this year I am asking you to. His name is Westley C. Barnes in the U.S.Army.. I really want him to still believe in Santa Claus. I was able to send my other Son things when he was in Iraq. And it is really sad I can’t send Westley anything. So perhaps you fly by there fast and surprise him. Love ya! santa yesterday i have wrote some of gifts can i get it today please santa! when you will you comeback to u.a.e. i am waiting for you. santa are you reading my letters which i am senting for you. it is nice that you have nice blog for your self now a days i can sent letters for you it is wonderful. i would like to meet you in the christmas. i’ve sent a letter for you yesterday. Santa could you show me a picture of an elf and the north pole, a pic of you and the machine that you put the presents in.Show me a picture of what you are doing please.Thank you,Marcel. Hi Santa please write about your magical seigh and all about the magical fairy dust you use. Hi sanata please write about your favourte food and the adventures of rudolph. I think you should write about some funny adventures that you have had on christmas. 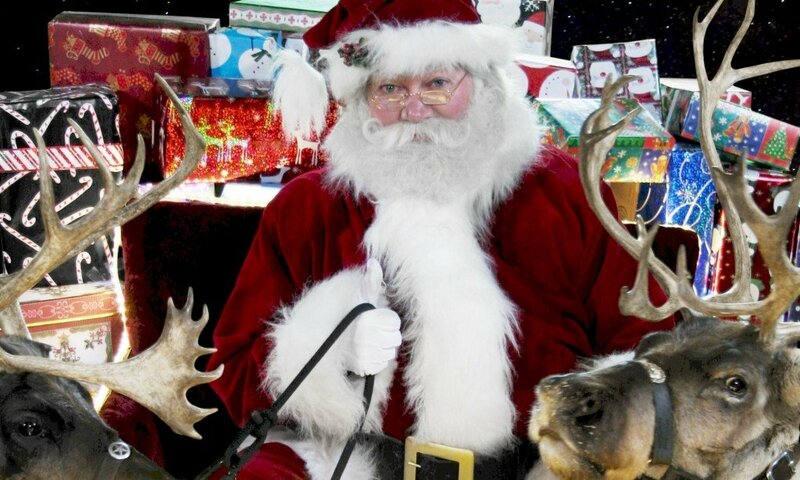 Santa I was in the mall today I saw you. We pot up are christmas tree me John and Jacob have are stokings up my grandma whants 1000 dalers my brother Jocob whants an ipad. my brother whants a gril friend. I whant a play ground. my anut whants 1000 dalers too. Hi santa! How is the north pole? It is great here in Bates City! (Except that I may have mommoana) Say hi to roduph for me please! Your blog has cool stuff. hi santa i have ben a very good girl for x-mas i won’t a laptop,a spynet,harry potter the movie the last one. hi santa i love this new blog and can you tell me why we can’t see you on christmas? How do you wright a letter back to you can you please tell me? What did you use instead of the chimney? will you tell me how you make the sleigh work please? hey santa do you give pups to good boys and girls? Last Chrimas You Sent Me A LapTop And A Note When I Knew I Had To Share It I Was A Bit Sad But I Realy Liked It And Im On It Right Now! really the blog is back!!! Hi Santa! Is it cold at the North Pole? What are the elves names? Santa,what do you do on Holloween? Santa,can you put funny comic strips in your blog? what are you doing right now Santa? Can I have a video with you riding your sleigh last year? im so glad i might be getting those sweet teddys . Santa,how do you give presents to children if they dont have a chimney? How are the elves doing making their presents? Are you checking on them? Frenzie, our elf, is still here, but did he loose his magic last night. I love you Santa and your blog as it is a nice and beautiful like you. Santa,do you have more people on your nice or naughty list? christopher, it is ok if others don’t believe in me. Sometimes when kids and adults get older they lose their spirit of childhood. They even start to think that I don’t exist! Just remember, everyone can have their own opinion (even if it does not happen to be right! :). If talking to your friends or other kids about this makes you mad, then it might be best not to talk to them about it. You are your own person. You do not have to believe or do something just because your friends say so! And, as long as you keep the spirit of Santa in your heart, that is what is most important! I LOVE TO DO GYMNASTICKS,GOING FISHING WITH MY FRIENDS AND FAMILY IT`S THE BEST THING TO DO IS WHEN YOU HAVE NOTHING TO DO. Do u always get gifts as long as u belive?thats what my mom says. i want to see really funny stuff! what time do you start delivering gifts? it must be hard to fit all of the cookies in your stoamic. my neighbor keeps telling me that you are not real. I believe in you! What should i tell her? isis, it is ok if others don’t believe in me. Sometimes when kids and adults get older they lose their spirit of childhood. They even start to think that I don’t exist! Just remember, everyone can have their own opinion (even if it does not happen to be right! :). If talking to your neighbor or other kids about this makes you upset, then it might be best not to talk to them about it. You are your own person. You do not have to believe or do something just because your neighbor says so! And, as long as you keep the spirit of Santa in your heart, that is what is most important! I like you Santa, you are very kind and sweet. And by the way, we left food for the reindeer last year but they made a mess on our front step. And the elves are doing a lot of good work cuz they are your helpers. Hey Santa Claus i hope i get a lot of presents like last year well i hope. Thank you for the letter Santa do you like hot chocolate or chia tea for christmas eve??? CAN I SEE IN SIDE THE SLEIGH!! Dose Ruldoph like me. I love u. Do you ever allow children to visit the North Pole? I would really love to see where you live. I am soooo glad ur blog is back!! I have been looking to see if ur blog was coming back soon!! But just keep writing about stuff at the northpole! can u send them to our house for thanksgiving? cuz i read the website and it said they come up for special occasions. JUST SEND THEM PLEAse…. elves if ur reading this…. COME HOME! Hi santa please get my a cell phone and a baby brother for Christmas and i think the blog is a real goob ideal. So how many elves do you have working? How long does it take you to fly around the world? I wonder if you eat ALL the cookies that kids leave for you? can you please send me a photo of you and rudolph and photo of mrs claus and the elves making doll clothes and dolls? where do your reindeer live? what do they eat? how do you make them fl? what’s their favorite snack? what weather do they like best? Santa what is your last name? How do u put up all your christmas light? Can you tell us how Christmas started? Santa, this is Jude, can you please write about everything i want for Christmas? Santa, this is Crea, can you please write more about what the Christmas spirit is all about? Santa, what should I put in the reindeer food? Heres what I have…. Santa Welcome Back Its good to see you online again we hope you are ready for christmas and cant wait to see you. Is it too late for a bad girl to go good? I was Wondering how old you are. My grandparents were talking about how you visted them when they were little. So santa, how old are you???????????? SANTA CLAUS! I LOVE YOU! CAN YOU MAKE CHRISTMAS COME RIGHT NOW?!?!?! How do you do all the children happy? .. Like stop time:)). Great Job Santa! Keep up the good work. Love,Celine. Dear Santa, I also want one of the Christmas Elves that come to life at night. I love you and hope you have a great Christmas!! I saw you last night on the polar expres. You gave me a bell. YAY Ive Been Waiting For The Santa Cllaus Blog To Return How Are You Santa? Dear Santa, how are the elfs? what are some of there names? dont forget i want suprieses. i love you. how old are you. on christmas i’ll leave you a note. tell everyone i said hi. Santa for Xmas I want u 2help the homeless kids because they r less fortinet than others. Santa, just wanted to say that you have been a great guy these past couple of years, keep up the good work! My brother and I love the presents you gave us last year. We can’t wait to see what you get for us this year! hi santa you are so asoume. I love your blog!I also love Christmas!I can’t wait for Christmas!I can’t wait for you Santa to come to my house and eat and drink my milk and cookies! I love your website and I was hoping you could tell us more about what you do for Christmas like on christmas eve other than delivering and christmas day e.g. christmas dinner, christmas carols etc. I was also hoping Mrs. Claus could write to us about cooking for you and your big appetite for cookies!!! can you name some of your elves please! I would love to see short Christmas stories on your blog or even recipes from Mrs. Claus. Perhaps a quiz or a heap of photos. I just wanted to say that I think that your elves are really good at making presents. I hope that you will bring me a pink dirt bike . You can give the little boys and girls that dont have anything my extra gifts so that they have toys to play with too. i hope i like my presents. santa my birthday is coming up its on december 18 and I am turning 8 yrs old…Hope you have a good day Santa!!! I love you Santa…I love Christmas… for today i love everything you give me and i hope you get me those presents i want..i love the holidays..happy holidays to you Santa!! santa my birthday is comeing up on december 18. have a good day. Please tell Vixen she’s awesome! Hi Santa! I am sooo excited that you have a blog! i am looking outside, and it looks like it is going to snow!!!! That means Christmas is getting nearer and my elf, Bartholomew, (who you sent to me) Is coming next week!!! I am sooo EXCITED! May you PLEASE tell him that i love him and cant wait to see him! OH!! And may you see how his pet, Wadles is doing? THANKYOU! Santa, you and the elves should make a HUGE snowman and post the pic on your blog. what is your favourite treat that gets left for you on Crhistmas Eve? santa you should write about the elves!! make this like ur twittwewert!! Do you like to play race car games? I like playing with my race cars! Do you like pizza? My favorite type of pizza is cheese. thanks for starting the blog! How many reindeer do you have? Would you like to take home a batch of my cookies to Mrs. Clause this year? i am 1 year older now santa the bulying has not stoped it has gotten worse waht do i do santa. Please help or give me the numbers again. Santa! I can’t believe your blog is back! Maybe my email asking you to update it did work! Previous PostPrevious A Christmas Wrap! Next PostNext Christmas Eve is tonight!